Having been taught by my mother not to say anything to a stranger if I can't say something nice, I chomped my teeth into my tongue the only time I met the notorious producer of schlock pop Mitch Miller. It happened about ten years ago, once when I was taking the crosstown bus from East 97th St. to the West Side of Manhattan. The bus was crowded, and I found myself literally pressing flesh with Miller. Our noses were perhaps two inches apart, so I turned mine, pretending not to recognize him. The mother of a woman alongside us must have taught her daughter some nice things to say when pressed, and she and Miller started to chat about "Sing Along with Mitch." Someone else near us chimed in, and I still remember fearing for a second that everyone on the bus would soon be singing "The Yellow Rose of Texas." Since Miller died, this week at age 99, I've been thinking about him for the first time since that day, and I've finally come up with something nice to say. First, a brief reminder: As the head of production at Columbia Records in the 1950s, Miller made almost nothing but demeaning commercial pap. His contempt for the pop-music audience was so complete that he could not bear to listen to the records he produced. The damage he did in the genre of traditional pop is so profound that Miller should be inaugurated into the Rock and Roll Hall of Fame for his pivotal role in making rock necessary. That in itself is one fortunate, if wholly inadvertent, consequence of his awfulness. More significantly, he should be acknowledged for almost single-handedly transforming the role of the record producer from a largely passive one, from that of documenting what the performer wants to play, to an active one of supervising repertoire, performance, and recording technique to fulfill the creative vision of the producer. 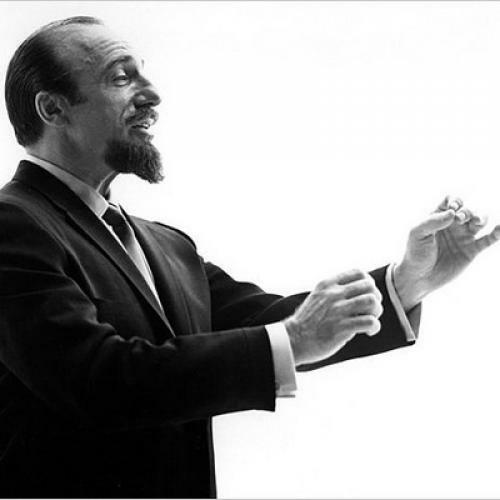 As insipid and pandering as his records were, Mitch Miller's records were his records. Miller brought the authorial prerogative to record production. The first auteur of the sound studio, he established a model for Phil Spector, George Martin, Gamble and Huff, Billy Sherrill, and every creative record producer to follow them. That's an achievement of considerable weight, and if Miller were still here, I would tell him so myself.